Airport Asphalt: Replaces the large airport’s asphalt, with darker pavement and sharp lines. Font Renew: Replaces the default TTD font with the Tahoma (bold) 8pt font. The newspaper font is not changed. 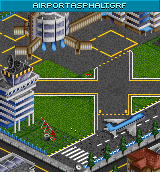 Heliport: Replaces the default heliport, features semi-transparent landing platform. 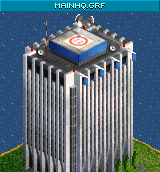 Main HQ: Replaces the company headquarters, with heliport, flags and roof antennas. 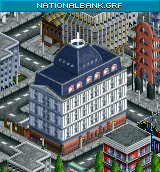 National Bank: Replaces the bank graphics with a bank in a restored historical building that nicely blends with the original game’s graphics style. 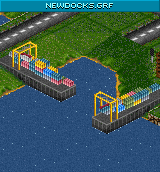 New Docks: Replaces the default dock with a modern concrete dock featuring parked containers and static cranes. 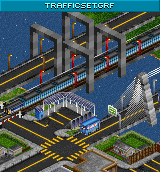 Traffic Set: Replaces all roads and all brige types in all climates. Replaces the road depot and includes the new large airport asphalt graphics as well. 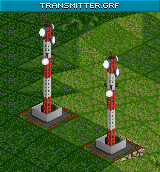 Transmitter: Airport and landscape transmitter with flashing lights. Urban Renew Set: Replaces most office buildings from the temperate climate. Includes the new transmitter and new bank. For your convenience, you can download all GRF graphics in a single ZIP file. The download includes also a citibank.grf file created by Rob and modified by Andrés, anda newstations_all.grf file created by Marcel and converted by Andrés as well. 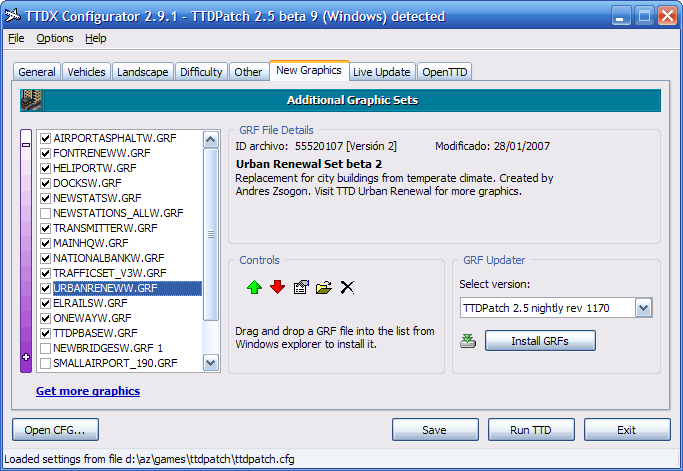 Once you download a GRF file, place it in the ‘newgrf’ folder under your TTDPatch installation path. Open TTDX Configurator (shown below) to load your ttdpatch.cfg and newgrf.cfg settings files and activate the GRF files you want to use from the New Graphics tab. Notice that some GRF files might overwrite graphics from others. To control which GRF files have priority, arrange them so that the files with more priority appear lower on the list. 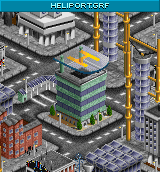 Then save your settings, run TTD and after loading your game, access the New Graphics Status dialog. GRF Status dialog to enable/disable new GRF files. From the GRF Status dialog in TTDPatch, you can also enable and disable GRF files immediately by clicking the green icon to toggle the file ON/OFF. 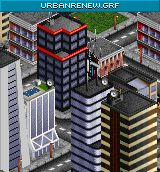 Place the downloaded files in your ‘newgrf’ folder under your OpenTTD installation path and run the game. 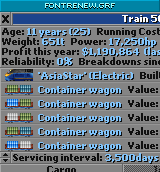 To keep your OpenTTD version up to date or quickly switch versions, try the OpenTTD Manager developed by Andrés. 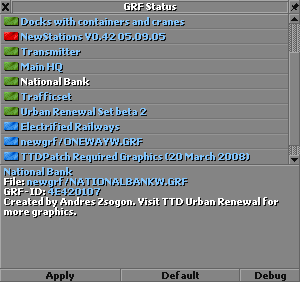 OpenTTD has a build-in GRF file manager. However, due to design reasons you cannot enable/disable GRF files from existing games. Instead, you must enable all the GRF files you want before starting a new game.